Ok. Do you want the perfect summer read? This is it! 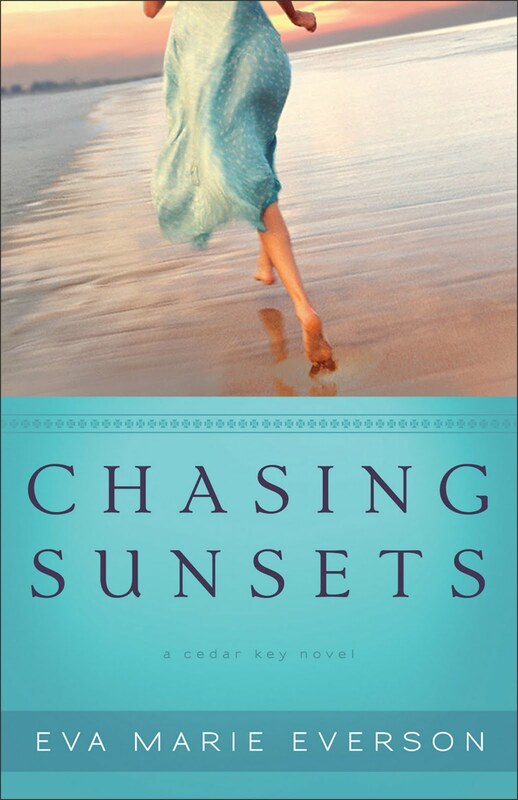 Chasing Sunsets is the story of Kimberly Tucker. Kim is a newly divorced woman who can't seem to let go of the past and move forward with her life. Until... her father suggests she return to her childhood vacation home to 'take care of the house'. It seems the perfect opportunity to get her mind off things while her boys are with their father for part of the summer. Planning to stay only a few days to get things in order, Kimberly goes to work to find﻿ the help that is needed. While she's there, her plans slowly begin to change. She meets with her closet childhood friend, Rosa, only to find she is not the same girl she remembers. Her new neighbor Patsy, with her strong faith, brings much insight into her life. Then of all the unexpected... she is reunited with her first love, Steven Granger. How will it unfold with so much life in between them? The story takes place in a tiny beach town called "Cedar Key", and all I have to say is... now I want to live there! The scene is painted so clearly it feels as if you are right there with the characters, which by the way, are all so lovable. I can see the birds fly by, feel the ocean breeze, the humidity... even see the sunrise and sunset which are in great detail. Did I say I wish I was there? Yep. I can dream. Turns out that Cedar Key is a real place that the author visited for this book. She even says that some of the places mentioned in the book are actual businesses in Cedar Key. There really is a Dilly Dally Gally, a Cook's Cafe, a Cedar Key Market, a Kona Joe's and others. How wonderful it would be to see these places first hand. You want to go now too, don't you? If not now... you will after reading this book. I highly recommend Chasing Sunsets for your summer reading list. It's a great story with characters you can't help but like. It's very relaxing with the beautiful setting. Just a fun, easy read. I can't wait for the next in the series of the Cedar Key Novels. This is one series I will be sure to follow. Thanks Eva Marie Everson... I loved it! *Revell Books and Baker Publishing Group have provided me with a complimentary copy of this book for my honest review. ~ Thanks!